We have a new round of original art in the Fine Art section of the shop. The new work is all archival ink and starts at $45. 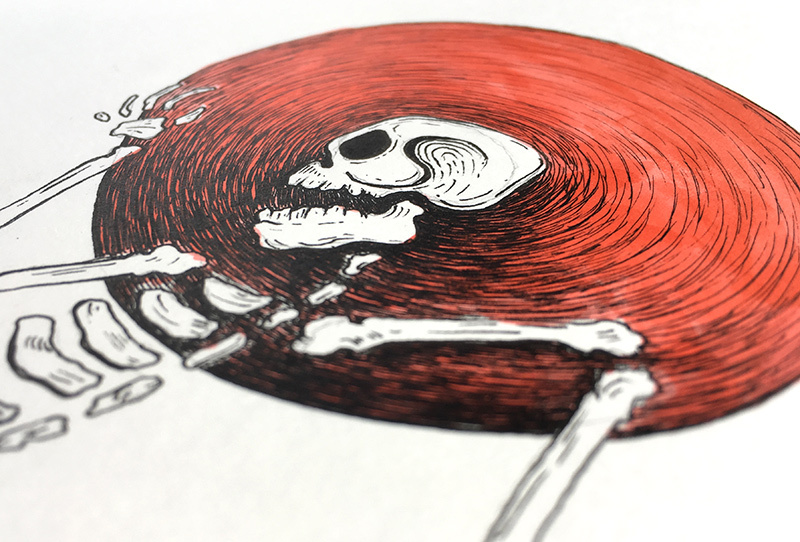 We’ve added a new collection of Dia de los Muertos skeletons to the Original Art section in the shop! These original ink pieces will be on display at the Dia de los Muertos celebration in Tulsa on November 1st and may not be available for long. The Dia de los Muertos celebration last week got us motivated to finish up "Calavera, Angels" and get signed prints added to the shop before the Christmas rush. This new print is available in 12"x18". If you'd like to place a custom order for a larger size, give us a shout! Next week, we'll participate in our last festival of 2016! Tulsa Dia de los Muertos festival is on Nov 1st. There will be local art, food, music and drinks. You can get more information about the event by clicking here. We saved our favorite calavera for last. Happy Dia de los Muertos! We're releasing the last three new Day of the Dead art prints in our queue this week. You can find "Calavera, El Rey" (pictured) and catch up on the October releases you may have missed in our Dia de los Muertos shop section. Our newest Dia de los Muertos print is now available for purchase in our shop: Calavera, Bigote. I've been constantly refining the process I use to make these wood block prints over the past year. These are a hit at festivals, often out selling paper prints. The process I'm using now consists of about five separate steps, and a batch takes nearly a week, but each run looks better than the last. I'm dedicating some time each week this summer to build inventory to add to our shop. I'll try to capture some quality product photos along the way that authentically translate the thick coat of supergloss resin that coats the art. I accept custom orders for these throughout the year. Use the contact form to request a piece of art to be bumped up in production.